Notes to Editors: There is a photo associated with this press release. 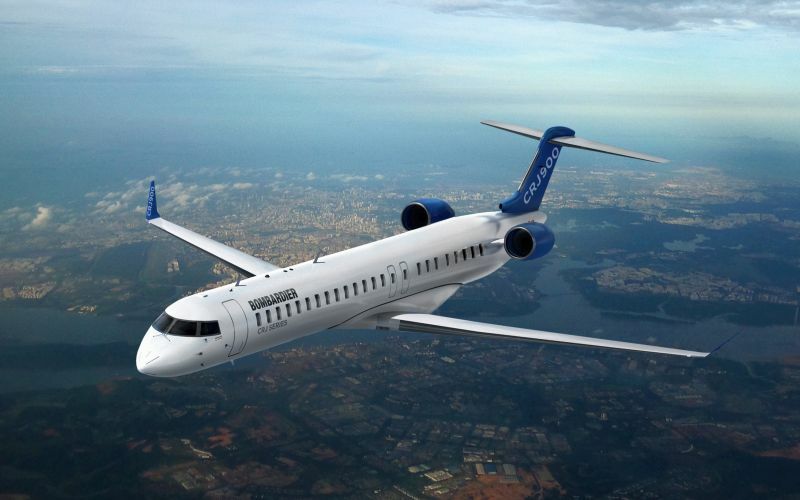 Bombardier Commercial Aircraft announced today that a customer, who has requested to remain unidentified at this time, has signed an order to acquire six CRJ900 aircraft on firm order and options on six additional CRJ900 regional jets. Based on list price, the firm orders would be valued at approximately $290 million US. Should the customer exercise the six options for CRJ900 aircraft, the contract value would increase to approximately $580 million US. "Bombardier's CRJ aircraft have been the backbone of regional aviation in markets around the world. In the last five years, more than 25 new airlines have joined the family of CRJ Series operators, and this is testament to the tremendous value this aircraft can deliver to customers thanks to its unmatched performance and economics," said Fred Cromer, President, Bombardier Commercial Aircraft. "The demand for regional air travel is booming, and we are pleased that airlines continue to select the CRJ900 aircraft to generate both passenger and revenue growth." Including this latest order, Bombardier has recorded firm orders for 1,918 CRJ Series aircraft. The CRJ Series aircraft family includes over 120 owners and operators flying people in over 90 countries, and the worldwide fleet has logged 50 million flight hours. Every 10 seconds a CRJ Series regional jet takes off somewhere in the world. The CRJ Series family of aircraft has transported about 2 billion passengers and is the world's most successful regional jet program -- linking people and communities like no other. The CRJ Series regional jets have revolutionized aviation with their proven efficiency, reliability and profitability. Images and photos of CRJ900 aircraft are posted with this news release at www.bombardier.com. For more information on the CRJ900 aircraft, visit http://news.commercialaircraft.bombardier.com/media-kit/. Bombardier, CRJ900 and CRJ Series are trademarks of Bombardier Inc. or its subsidiaries.